So the joke here is that there will be no reference to the Spanish Inquisition. None whatsoever. Nada. Nil. Once we finally got down to business it didn’t take us terribly much time at all to kill the boss. 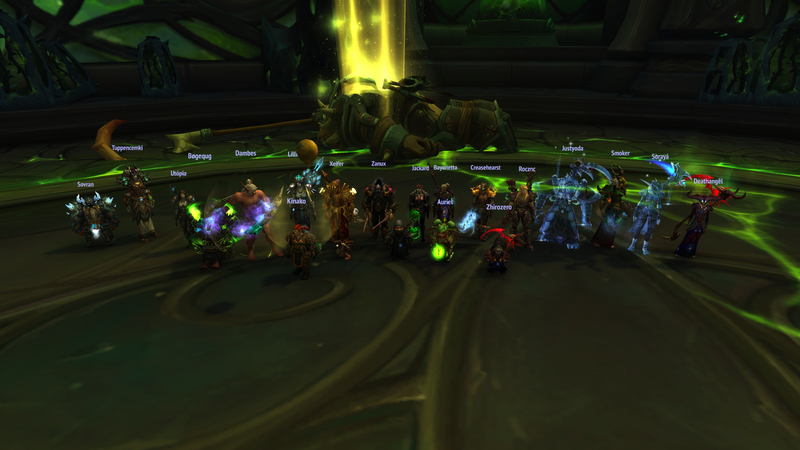 A rather unusual kill either, no low percent wipes, essentially from 40% to a kill the next pull. Three done, baby bosses down. This is where it gets interesting.